Much like the classic mixtape, Tracklisted presents a collection of songs under a selected theme, which you can check out below. Click on the provided YouTube playlist and listen to this week’s arrangement while you read a few words about the selections. 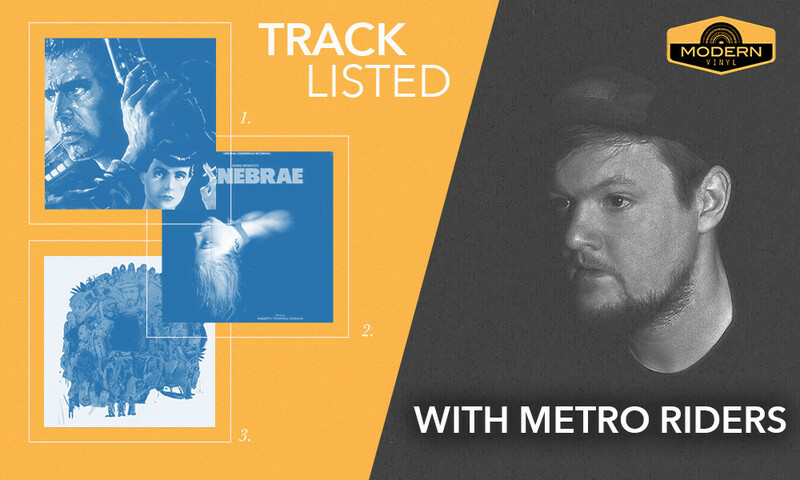 When first hearing of Metro Riders’ debut album, Europe By Night, I was sold quite immediately. First describing the sound of the record as “employing outdated software and now obsolete analog recording equipment” to create a sound which “encompasses everything from the prophetic visions of John Carpenter, to the warbled world of Troma films” was enough to pique the interest. Add in a track named “Bruno Mattei,” named after the director of such cult fare as Hell of the Living Dead, and it was certain love. Henrik Stelzer, the man from Stockholm behind Metro Riders, was kind enough to run down his influences in advance of Europe By Night‘s May 19 release on the new label, Possible Motive (you can also follow them on Instagram). What most of the themes in this playlist are having in common is the eerie atmosphere and how they manage to convey a certain chill and mood, a very haunting theme by Basil Poledouris. From the slasher flick Intruder, directed by Scott Spiegel. The notorious Italian director Bruno Mattei, the Italian Ed Wood of underground cinema, made himself a name once due to his violent exploitation movies, but also because of his nonstop usage of stock footage, soundtrack borrowing and bad acting. Blade Violent – I violenti, or Women’s Prison Massacre, is no exception, well, maybe for the ominous score that did carry sounds of quality to it. Once again, this piece was more about the degraded sound it carried rather than the quality of the actual composition. Goblin was an Italian progressive rock band that was often hired by director Dario Argento to score his films and “Flashing” was used in the 1982 movie, Tenebre. The use of a single drum machine kick and a simple repetitive synth pattern is a recurrent feature on Europe By Night. Cannibal Holodcaust is probably one of the most haunting scores ever to be written by the Italian composer, Riz Ortolani. Even though the entire track is absolutely amazing, it was the first 40 seconds that had a huge inspiration in setting the mood and pace for Europe By Night. The opening sequence of 2019: After the Fall of New York (another Italian movie trying to profit on the John Carpenter success, Escape from New York) features a scene of a city skyline and a hobo playing a trumpet. I somehow came back to the feeling that this scene had — with or without the sound — when looking for inspiration. I am very fond of this particular piece, as it recalls sights of deserted places and imaginary landscapes in the droney weirdness and the wonky synths. Instrumental music tends to help in creating your own visions and thoughts: this one is no exception. This soundtrack or movie needs no further introduction. If there is someone who knows how to set the mood right, it’s Vangelis. The dystopian theme of Blade Runner — its way of depicting the future and the production design — is just something in its own right. Possession carries a lot of really weird and hysterical scenes. There are so many levels of awesomeness and weirdness in this flick and with each viewing, there is something new to discover or to be confused about. Pieces is a Spanish slasher from the ’80s featuring a college campus and a mysterious man with a chainsaw with the ambition of creating a human jigsaw. Great eerie theme by two prominent underground composers, hailing from Italy. Just Before Dawn is one of the first scores to be composed by Brad Fiedel, who later got his fame for writing the soundtrack to Terminator. This is one of my all time favorite pieces. Take a listen to the first song released from Europe By Night, “Trauma,” below. Europe By Night is available for pre-order as a limited edition of 300 copies on 180-gram black vinyl via Bandcamp.